My mother, who to me is the best cook ever, taught me several recipes that she never had a chance to share with me on the phone (what with my control freak detailed questions). The amazing part was, I got to learn hands-on how she prepares food, observing her style and sense of taste, something that is very different from mine now, after several years of living on my own. One dish she taught me how to make was Bottle Gourd Curry. Also known as Lauki in Hindi (India’s national language) and Doodhi in Gujarati, it is a vegetable that has many uses in Indian cooking. 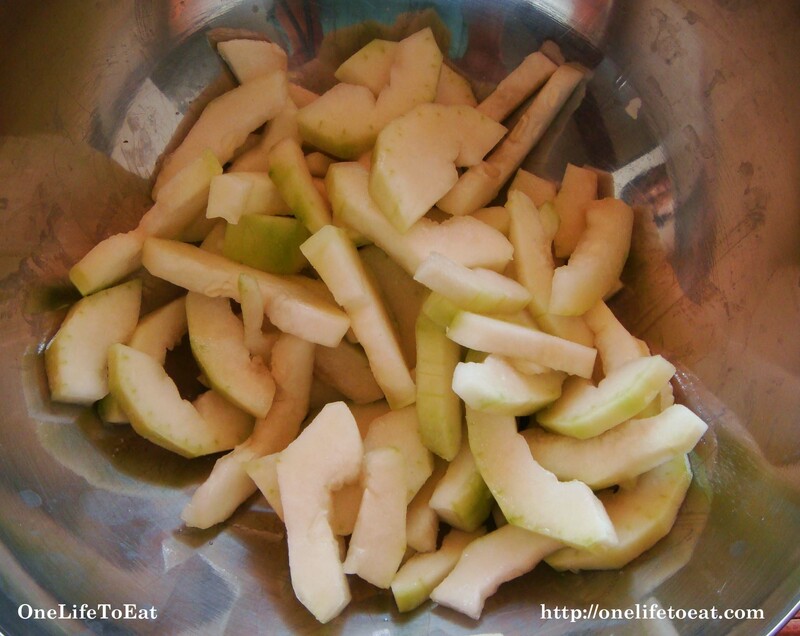 Apart from curries, this fruit of a vine, is also grated and used in varied Indian desserts such as Halwa and Falooda. The vegetable has several health benefits. I found this great article that details them. Now this is one of the many vegetables I hated as a child. I’ve become a far less fussy eater over the years and motivated by my husband’s love for freshly prepared vegetable curries, I diligently took notes while she made this curry. The method of preparation is a little different from my style with other veggies. Here, special care is taken to get a good curry consistency before the vegetable is added to allow it to cook. To get a thick curry-like dish, tomatoes and onions are cooked on low heat and simmered till they cook down to a paste. Read on to see what I mean. Garnish with chopped cilantro and enjoy with your favorite hot Indian flat bread such as naan or roti. 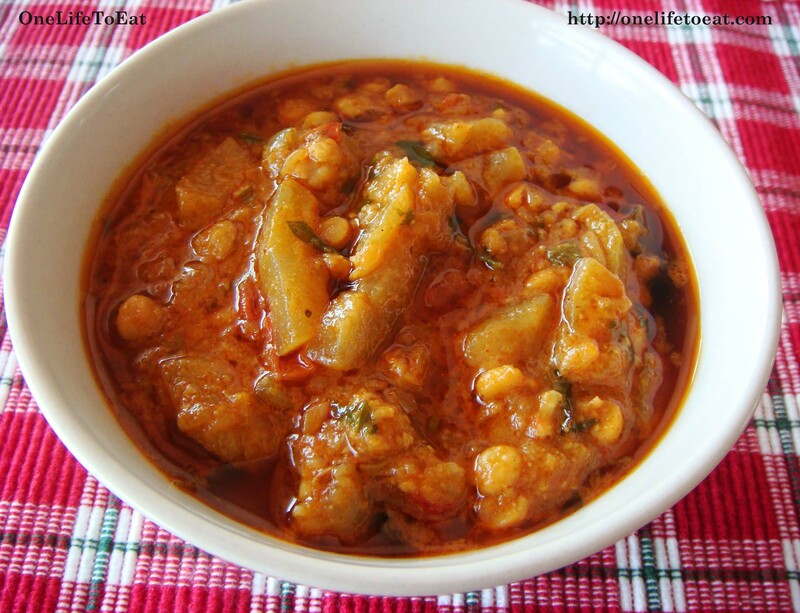 Variation: You can also add cooked Channa daal to make it a truly authentic Indian dish. Soak 1/2 cup Channa daal for 2 hours and pressure cook till they are cooked. Drain and add to the above dish at the end. Simmer for 10 more minutes. 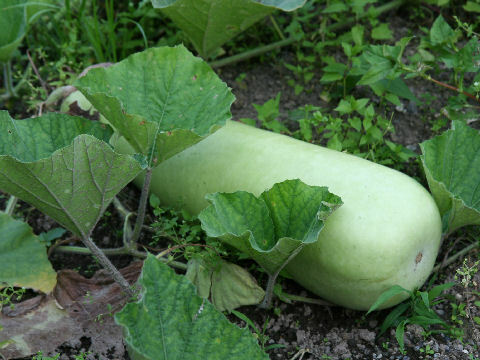 I’ve never heard of a Bottle Gourd, but this looks good! My husband loves eating several vegetables that are native to India and that region. When I moved here, he was shocked I hadn’t heard of so many veggies our mothers used to make everyday! It is amazing how we Indians make really bland but highly nutritious veggies taste amazing with spices and curries. Hey!! I love reading your blog. And I absolutely love reading and trying out your recipe. I tried out this one yesterday and though I made my sabzi dry, it tasted really good. I’m studying illustration, and at the moment looking at Indian culture, focusing on Indian food and ingredients. I just wanted to ask if I could use your recipes to illustrate from? Your recipes are obviously completely authentic and really tasty (being a keen cook, I will try them out), and this is important for me, to make my work more interesting an unusual due to the wide range of beautiful vegetables and vivid spices- they’re so much better to draw from too! I would be happy to share my outcomes with you! Hi, I love this gourd and will try yr recipe. It looks really yummy. In the photo, I can see small pieces like beans but I can’t find bean in ingredient. What are they? It’d be good to add beans. Hi Jasmine – The beans are yellow lentils. You can buy any variety of yellow lentils, cook them and then add to this curry. In the picture here, I have used ‘channa dal’ which looks a lot like split peas. 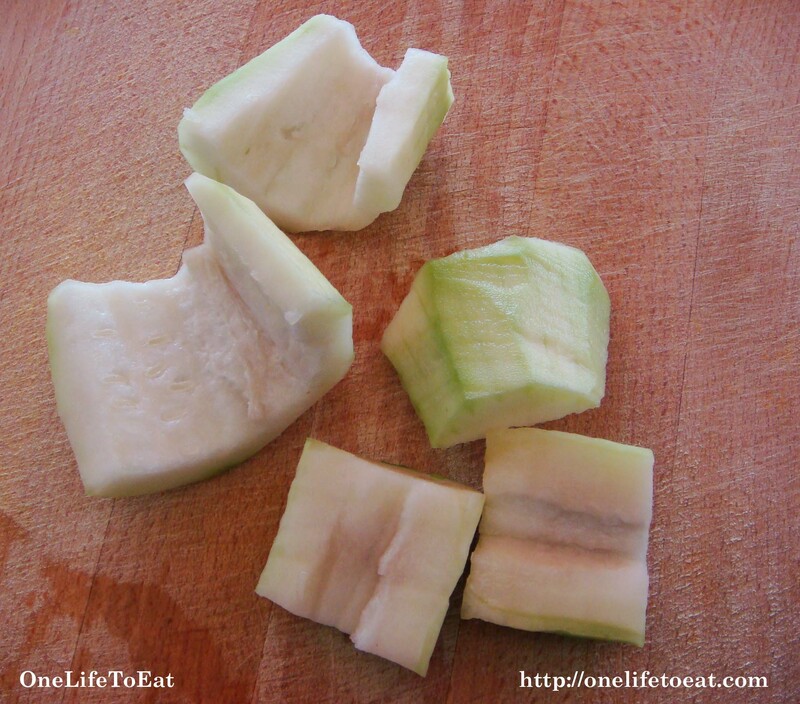 I found Bottle Gourd in a local produce market recently with this recipe (giving you credit of course) posted next to it so customers might know what to do with it. I’ve never eaten bottle gourd, to me gourds are something that were dried and used for decor or making crude utensils, not something to eat. I LOVED it and so did my 12 year old. Being new to any kind of Indian cooking, I did cut back probably a bit much on the cumin and corriander, I’ll add a little more next time, but I didn’t want to scare my daughter away from it by making it too spicy. Mine was mild but still very nice. Can’t wait to buy more and make it again! thanks! awesome.this is first time I cooked lauki this way and my husband and I love it.It has the right amount of spice and looks very rich but in reality is very light and non fattening.Cooking it in the cooker was a great idea as it cooks the lauki really really well.Thanks for this great recipe! So happy you enjoyed the recipe, Anu! Glad your husband liked it too. Awesome curry.Everyone in my home loved it. Hi, I love this gourd and will try yr recipe. It looks really yummy. a new restaurant just opened and i was studying the menu- “lauki” was on it so I quick looked it up….we have an Indian grocery nearby too, so maybe I will try this. I tend to try restaurant items and sometimes try to make them myself. Not sure how I ever lived without Indian food…so tasty. Your recipe looks good! I am planning to try chicken curry. Can I add lentils to chicken curry too? I got three seed and planted in my back yard near fence by June this year. Start growig and spread through fence. I got big size doothi (lauki). One I cout yesterday was 21 lb.